What Does Genesis 3:16 Mean? Within a couple of chapters of Genesis, we see Eve desiring what was forbidden, and then tempting her husband into willful sin, and the result was not what God had planned for the man and his wife.. who were created in God's own image and likeness. What took place in their lives.. and the lives of all their descendants, was diametrically opposite to His perfect plan for mankind. 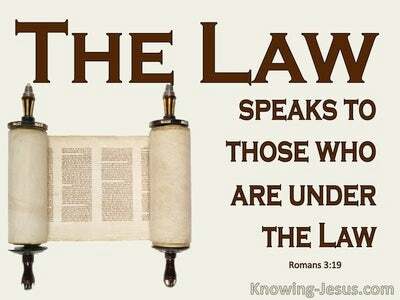 God is holy, and sin.. whether premeditated or unintentional, must be punished. Although Adam blamed his wife for his fall, he alone, remained responsible for his actions. And although Eve blamed the serpent for her fall, she alone, remained responsible for her actions. And we, who are also fallen creatures, are equally accountable to God, whether we sin consciously and willfully.. or unconsciously and accidentally - all sin is punishable by death. 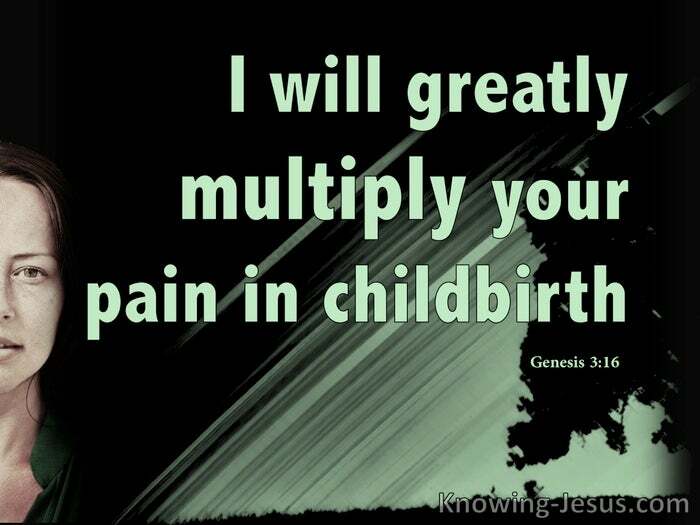 Eve received a threefold punishment: 1) great pain in childbirth, 2) a desire for her husband and 3) that her husband would rule over her. This was not how God originally planned their relationship, but sin corrupted God's perfect creation, and only the perfect sacrifice for sin, in the person of the Lord Jesus Christ, would be sufficient to wash away its stain. 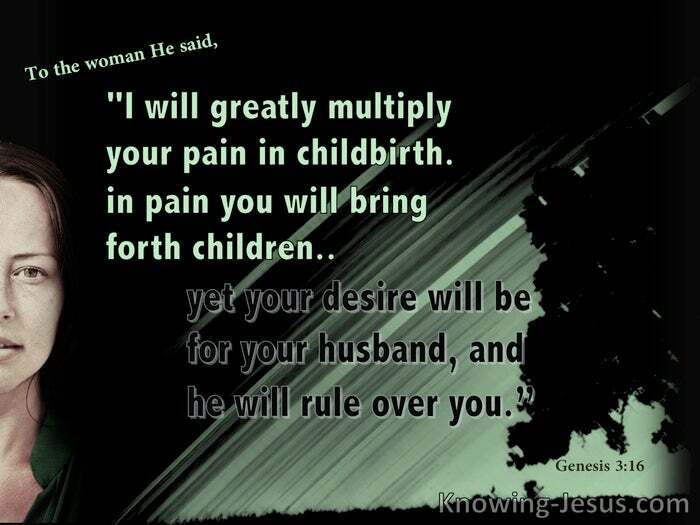 All women, who have given birth to a baby, understand the acute pain in childbirth, and this continues to be a reality in the lives of all humanity - but having a desire for her husband, who will rule over her, seems puzzling - until seen through the lens of its literal translation. The New Living Translation, more correctly translates this as: you will desire to control your husband, but he will rule over you. Instead of the mutual love, a united interdependence and the corresponding respect that husbands and wives should have for one another, this relationship has become distorted by sin. Women not only seek to dominate their men, but often desire to replace and remove them, while the love that men should have for their own wives, too often finds an alternative and willing recipient. Instead of living in the beautiful, married harmony, which God intended for the human race.. the Lord told Eve, the consequences of her sin would be that men and women would live in ongoing conflict, and un-abandoned competition with one another. Indeed, this is the sorry state of affairs, in every segment of society today, including Christian couples, who are living independently of the Lord. 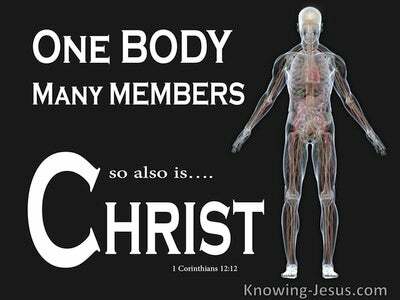 However there are a few that are seeking to live godly union, as outlined in Scripture. As Christians, we have been given everything we need to live Christ-like lives and to maintain godly marriages. Scripture outlines the way that love, honour, self-sacrifice, submission to one another and mutual respect can be maintained, between a husband and his wife - in this fallen world. The Bible give a beautiful illustration of the marriage relationship that God intended, in the beginning .. and it can be seen in Christ's relationship with the Church:- Wives, be subject to your own husbands, as to the Lord, for the husband is the head of the wife, just as Christ also is the head of the church - He Himself being the Saviour of the body. 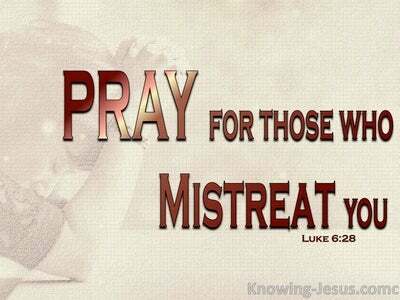 But as the Church is subject to Christ, so also the wives ought to be submissive to their husbands in everything. Husbands, love your wives, just as Christ also loved the church - and gave Himself up for her. Heavenly Father, what a wake-up call to realise the severe consequences that sin has had on all our lives and relationships. 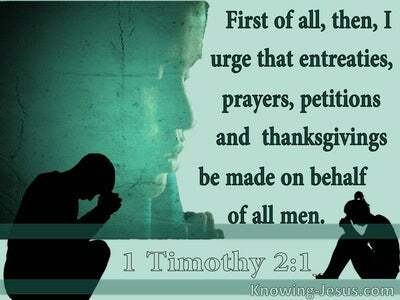 I pray that I may give greater heed to the instructions given to men and women - husbands and wives.. and I pray that in Your grace, I would honour my own spouse, and live my life in a way that honours You - this I ask in Jesus name, AMEN.